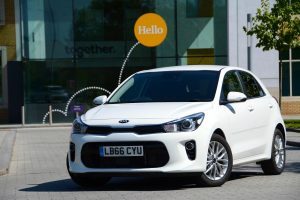 The Kia Rio, in diesel form, used to be one of the most economical cars on sale; is diesel still the engine you should choose for the new Rio? 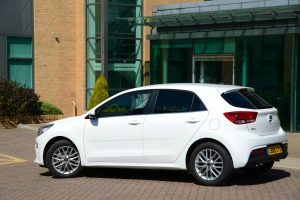 The new Kia Rio is very competent in virtually all areas. End of review. 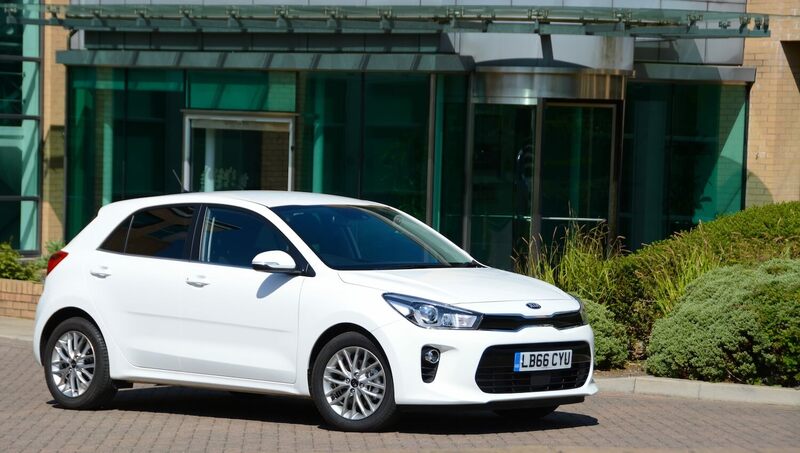 The new Kia Rio looks perfectly fine on the outside. It won’t get you noticed (the white colour doesn’t help), but it’s not particularly unpleasant either. It looks (slightly) different to the last Rio, with a marginally more imposing front end, but we’re not sure most people would notice any significant progress overall in the area of design. The interior is a lesson in how to make a really functional dashboard, with big buttons and large typefaces. 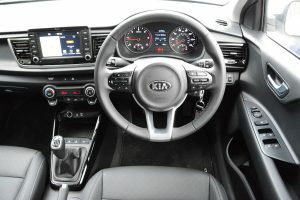 Even the buttons around the touchscreen are big and easy to use (the direct opposite to the touchscreen controls on, for example, a Subaru BRZ or a Suzuki Ignis). There are separate buttons for the heating system, rather than these being hidden in a touchscreen menu. Not that we’re getting old, but this is a user-friendly interior. Creative and fun? No. Our test car was the 1.4 CRDi ‘3’ Eco, ie. 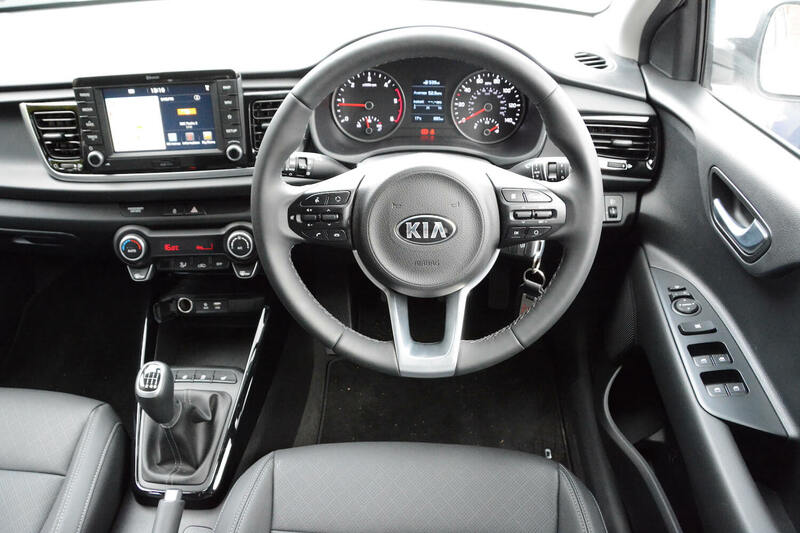 the top of the range, so there was lots of kit such as heated/leather seats, heated steering wheel, and even more clearly labelled buttons than usual. 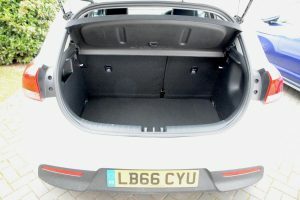 The Rio is reasonably spacious for its class and has a decent-sized boot. 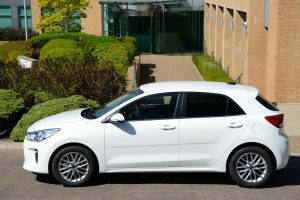 The new Kia Rio is perfectly pleasant to drive. End. If you still really want more detail, then the driving position is fine. The 6-speed manual gearbox, often a reason for some form of complaint in cars in this class, works perfectly well, along with the clutch. 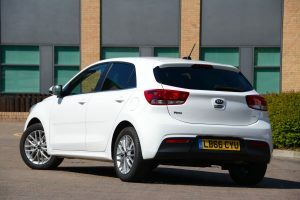 The 4-cylinder, 1.4-litre diesel engine, mated to front-wheel drive, is equally competent, although it can be slightly noisy. It’s not designed to set your heart on fire with its performance. The stop-start system (ISG) also works effectively. What about handling, ride, steering, braking? They’re all fine/fit for purpose – on the assumption that a Kia Rio buyer isn’t looking for a driver’s car. The Rio 1.4 CRDi ‘3’ official combined NEDC fuel economy figure is 74.3mpg. We were looking forward to seeing some amazing real-life fuel economy results (we did manage 103mpg from a BMW, after all), but we pretty much achieved around 50mpg in all our driving (we never saw it drop below 50mpg), ending up with an average of 50.3mpg after a week. As usual, much of our time was on motorways (with air conditioning on), and we can only assume that the aerodynamics of the Rio weren’t ideal for such driving. At £17,245, the 1.4 CRDi ‘3’ model is relatively expensive, but it is the top of the range; the 1.25 ‘1’ costs £11,995. There’s a 10-model line-up based on four engines, three gearboxes and four trim levels: ‘1’, ‘2’ and ‘3’. Kia’s 1.0-litre T-GDi (Turbocharged Gasoline Direct-injection) engine is offered in the Rio for the first time. 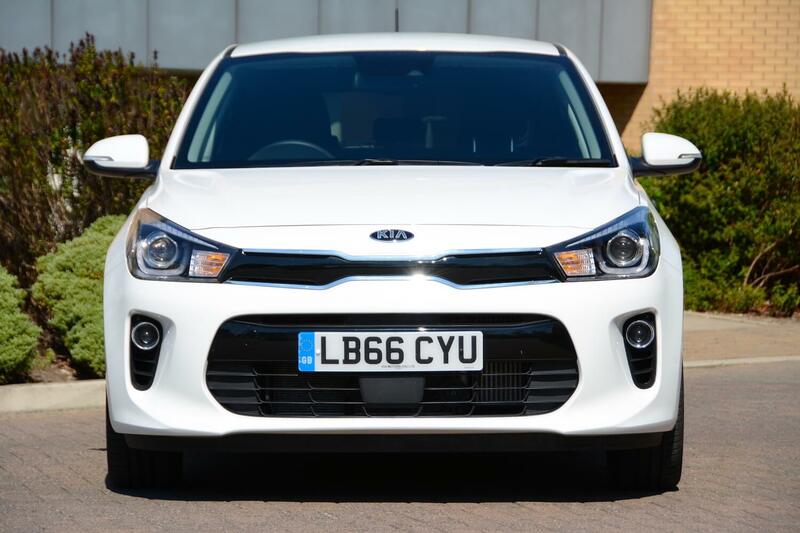 There are also 1.25-litre and 1.4-litre petrol engines, and the 1.4-litre CRDi turbodiesel. 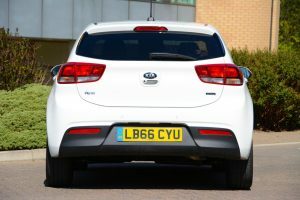 The 76bhp version of this 1.4-litre diesel engine has an official economy figure of 80.7mpg and emissions of 92g/km CO2. 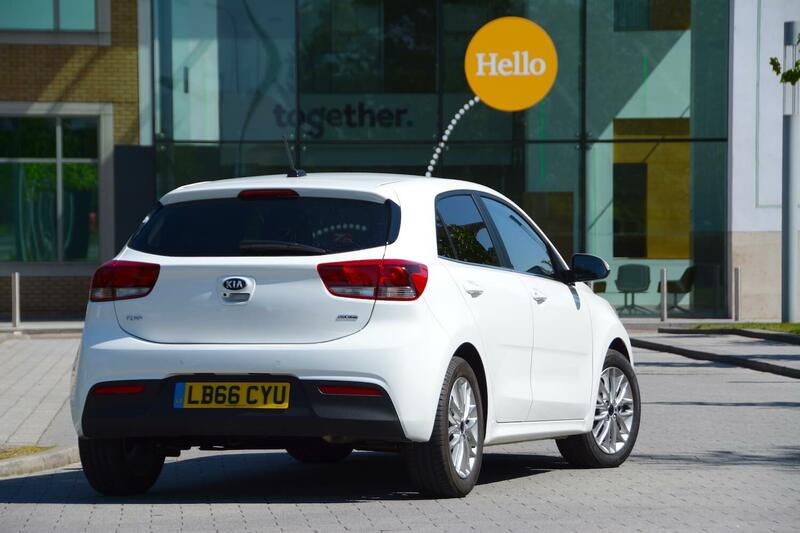 The Rio comes with a seven year/100,000 mile warranty. 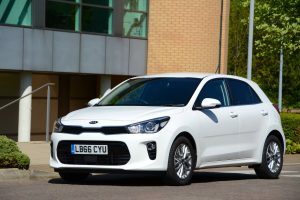 The new Kia Rio is ideal for people buying cars. It’s easy to drive and easy to live with. But it’s rubbish for motoring journalists, because there’s nothing to complain about. It just does everything as it should do. There are no quirky, annoying faults. 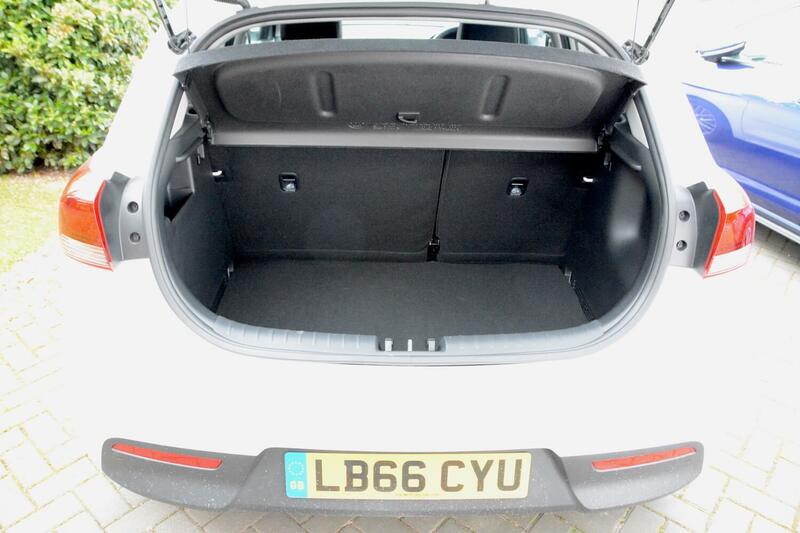 So if you want a small car that does everything perfectly well, then the Rio may be the one for you. But should you choose the diesel? We’d normally say that if you do long journeys, then the diesel is ideal. But A). we can’t imagine many people buying a Kia Rio to primarily undertake long journeys, and B). the only slightly disappointing element to our week with the car was the real-life fuel economy. The petrol 1.0 T-GDi is around £1,000 cheaper than the diesel, and with all the bad press around diesels at the moment, your local air quality monitoring officer would prefer you to buy the petrol model. 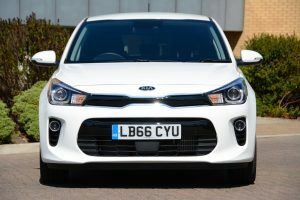 They would like it even more if you bought an electric car; the Kia Soul EV is your best bet here. 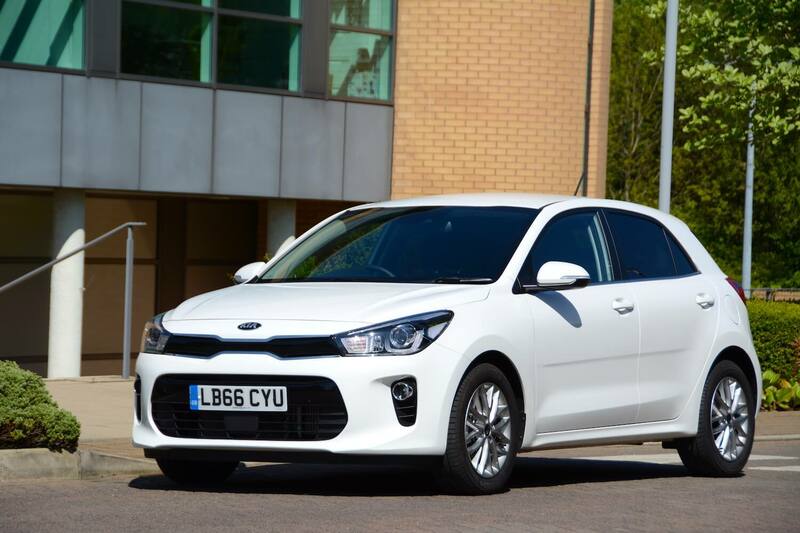 At £17,245 the 1.4 CRDi ‘3’ model can hardly be described as a bargain, but the Rio range does start at £11,995. 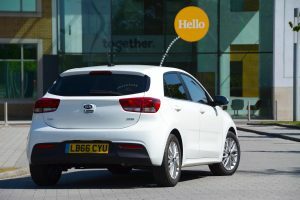 The new Rio is awarded a Green Car Guide rating of 7 out of 10, reflecting its competence, but also reflecting that ideally it could have a bit more unique character.